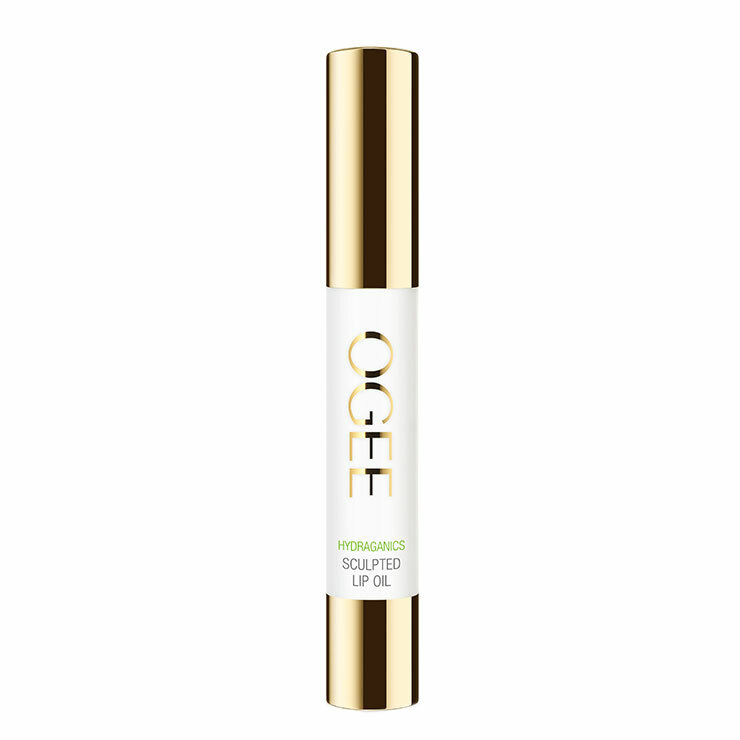 OGEE Sculpted Lip Oil Clear takes lip moisturizer to new levels in a convenient, easy to apply lip-defining pen. 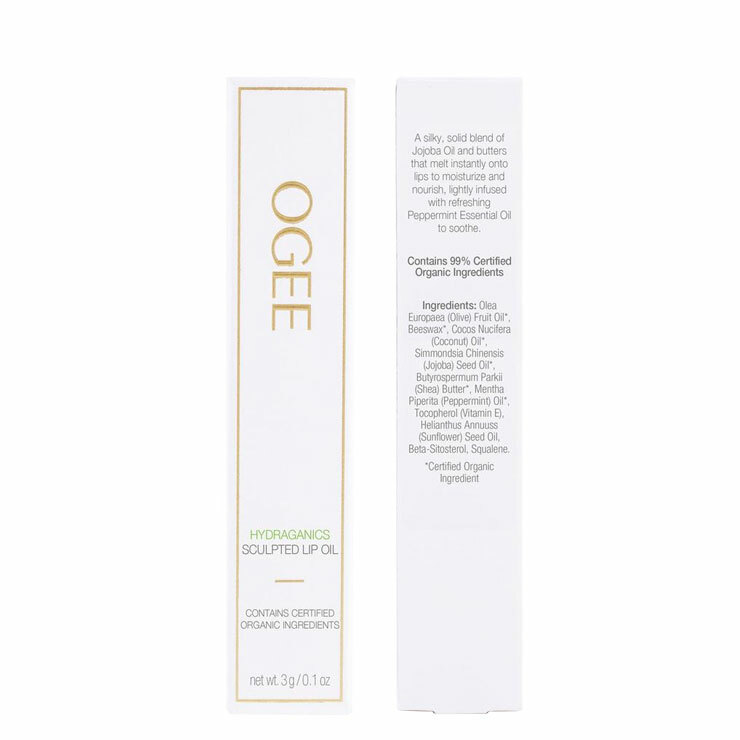 The base of luxurious organic jojoba oil is blended with high-quality coconut oil and shea butter to leave lips feeling ultra-moisturized and smooth. Peppermint oil provides a slight plumping effect to create a fuller looking pout. 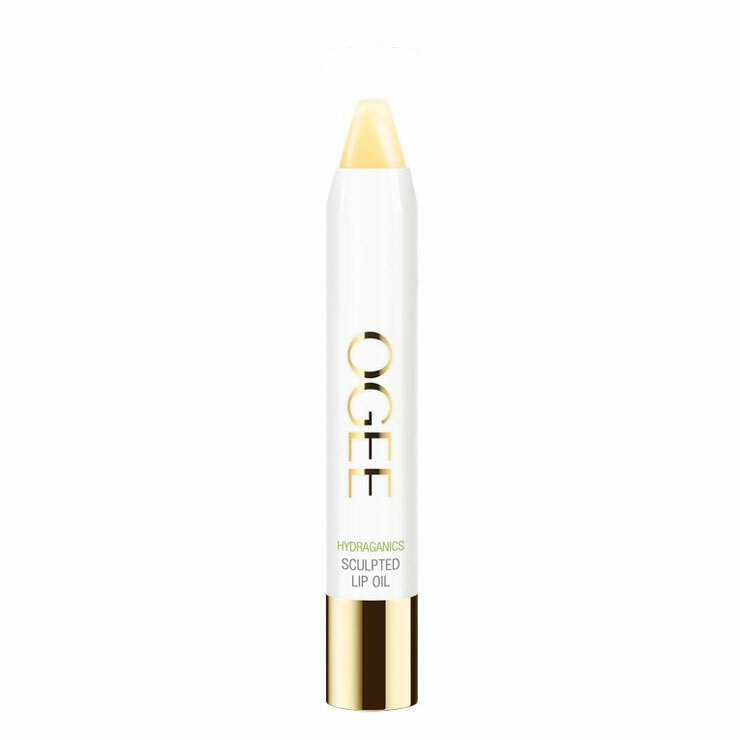 This lip pencil starts as a solid and quickly melts onto lips for a feeling of nourishment and conditioning. Perfect used alone or as a primer for lipstick. Apply to lips throughout the day as desired and at nighttime for a nurturing feel. Use before lipstick application to make lip color glide onto lips with a smooth and perfected finish.